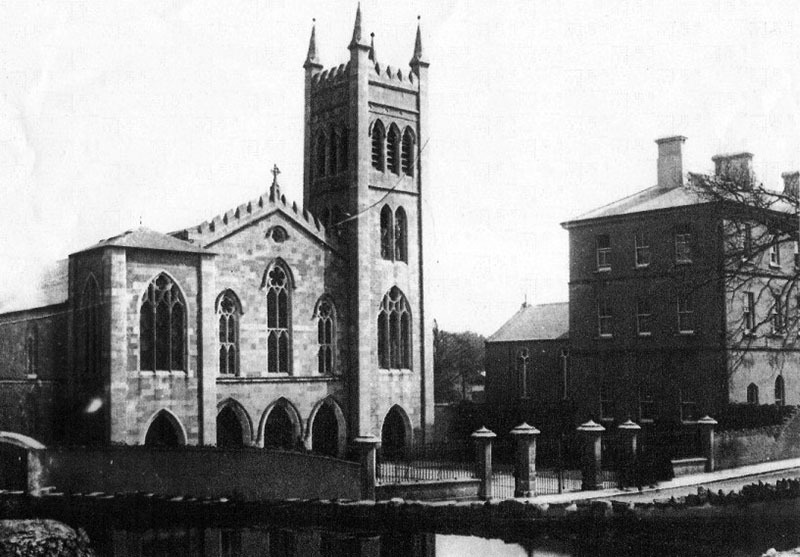 The original church on the site was constructed in 1822 and later extended and the tower added in 1872. A second tower was probably intended. Demolished after a replacement church by Jones & Kelly was constructed in 1965.